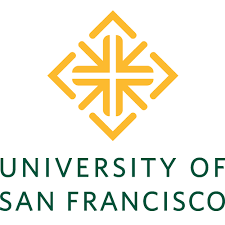 If you want to make the world a better place, start at the University of San Francisco. Here, you have access to the ultimate extended classroom: San Francisco with its many opportunities and advantages. Here, our 21st-century mission to fashion a more humane and just world is rooted in Jesuit values, comes alive in our diverse learning community and is broadened by our global orientation. Here you are challenged to reach higher standards and to use your education to promote justice and serve the common good.